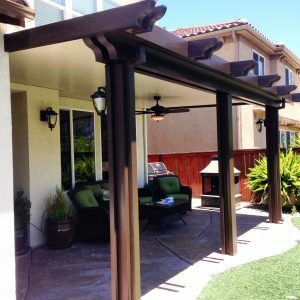 Here at Alumawoodproducts.com we off packages for Alumawood patio cover and component order for custom jobs. Our packages can be instantly quoted through our online “Quote Forms” if you like what you see you can request for us to contact you to finalize an order or clear up any questions about your project. We understand this can be confusing if this is your first patio you have ever built so we are currently developing a youtube channel that will help through each process of the job. From layout of the design to the completion of the job. Each DIY cover comes with every Alumawood part you will need to complete the job. We have a list of recommended tools you can look though here on our website. There are an endless amount of tools that you might use on custom job, but that will be covered more on our youtube channel.